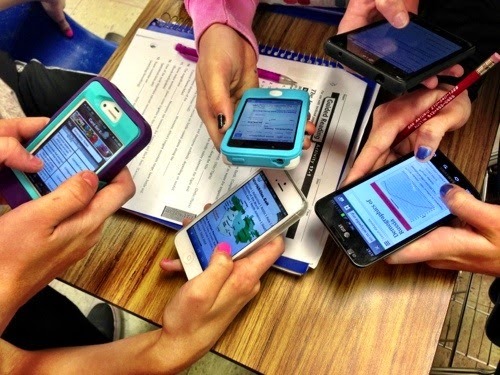 While helping a fellow colleague, I put together a few links that should help anyone get started with making a case to promote cell phone use in education. Here are some articles from the Pew Research Center that has, in the past 5 years or so, done some research on teens and cell phones. I've also included some articles from ASCD, another great educational leadership site. Here's a link to a presentation I recently gave at #cecacasl2014 on the use of smartphones in the classroom. There really are numerous apps that could transform your classroom even if your students only have the smartphones they bring to school with them and a 3G/4G connection.